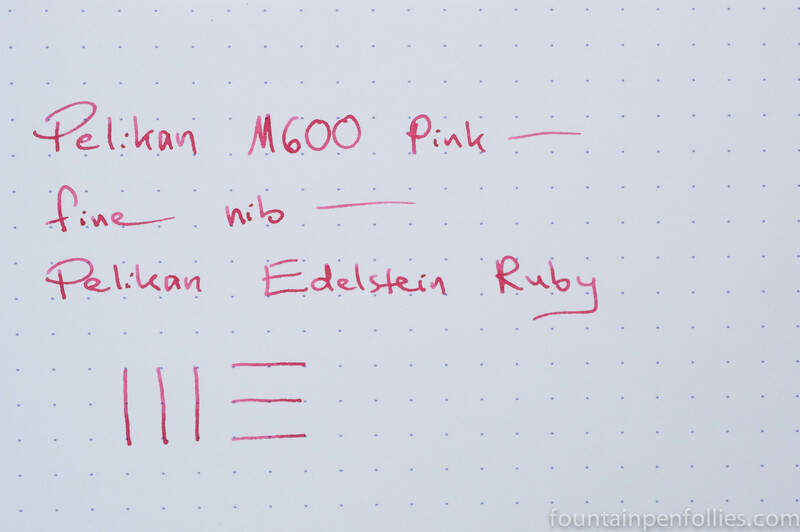 Pelikan M600 Pink with fine nib. Okay, I’ve talked about this pen before, and again, and again, but it hasn’t actually been pen of the day. So, good excuse! Also, Fountain Pen Follies is neither so foolish, nor so loaded, as to be able to buy two new pens a week. 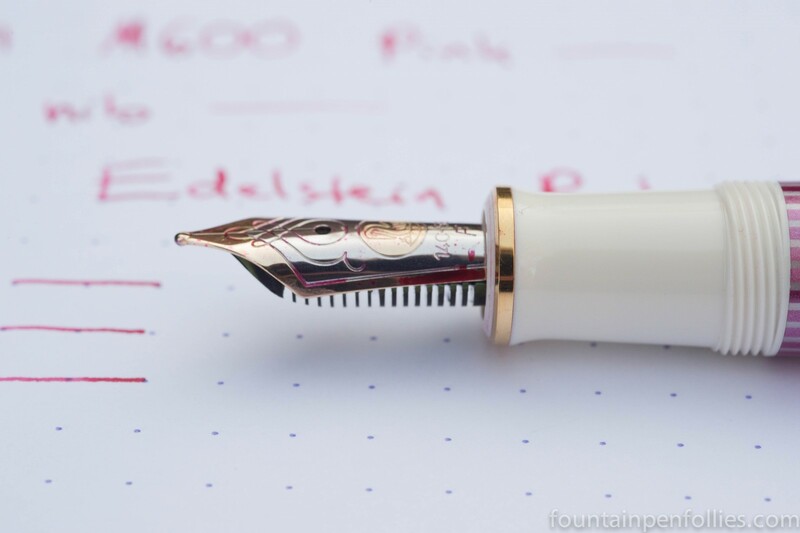 Am I the only one who not only doesn’t mind seeing a little ink on the nib, but likes it? Because I do. Ink drips, no, but a hint of ink, yes. 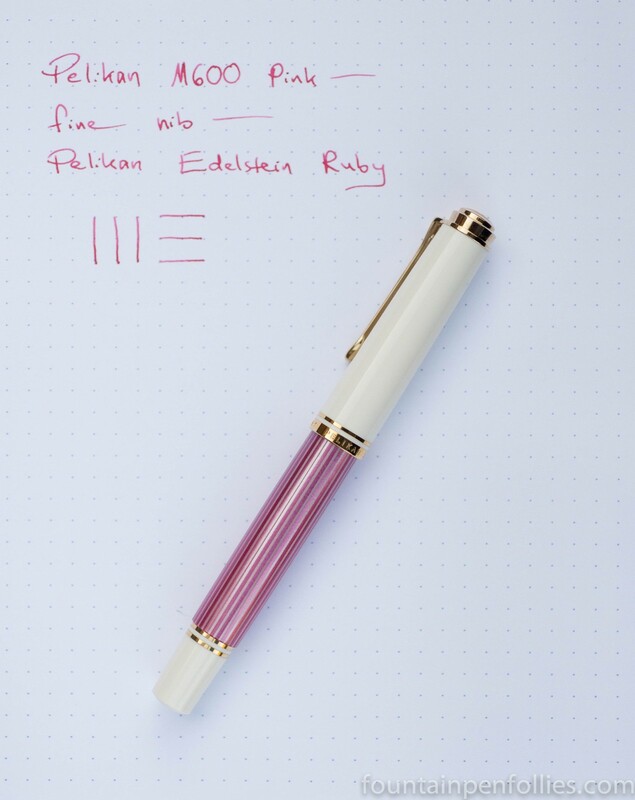 I’m using Pelikan Edelstein Ruby this time, which is a softer red that I adore and that I think really works with the raspberry color of the Pink Pelikan. Are you interested in selling this pen? I had one and it has disappeared. It was a gift from my husband and now it has been stolen. I’m dying to replace it but can’t find them anywhere (of course).